The year was 1872. The town of Colorado Springs was one year old and beginning to thrive. Three miles away, on the banks of Cheyenne Creek, families settled to raise their children and farm the land. Educating children was a value held by Daniel Kinsman, Carter Harlan and Marcus Foster. 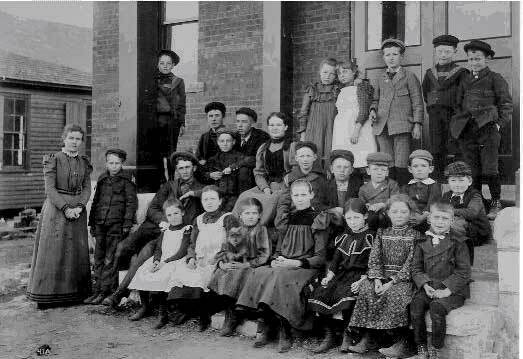 These families built a 12-foot by 12-foot one-room school house on the south side of Cheyenne Creek near present-day Cresta Road. Mary Harlan was the first teacher of Cheyenne School and had nine pupils. The first school year lasted only three months. By 1874 more families were settling in the area, and a larger school was constructed. At that time the school was officially designated as District 12. The school term was four months in length. In 1899 a new brick school was erected. In 1906 land was purchased at the location of the current junior high. Four years later a six-room school was built on that site. This school remained until 1968, housing grades 1 through 12. The kindergarten class convened across the street in a southwest-style adobe building. By the 1890s, the school term had been expanded to seven months, and the enrollment at District 12 was 22 students. During this period a trolley system was inaugurated to run from downtown Colorado Springs to the Broadmoor Casino and the Cheyenne Mountain Country Club. This enabled more people to move to the Cheyenne area. The Broadmoor area had become known for its dairy farms. In 1916, 25-year-old Colorado College graduate Lloyd Shaw was selected to be superintendent, principal, teacher, and coach for Cheyenne Schools. He guided the school in an unusual, creative and sometimes controversial way until 1951. In addition to his strong emphasis on a demanding academic curriculum, Dr. Shaw developed a valuable art collection, wrote plays for students to perform, created a nature preserve, built an observatory and purchased a cabin above Seven Falls for students to hike to on weekends. Shaw is best known for his nationally recognized square dance team. 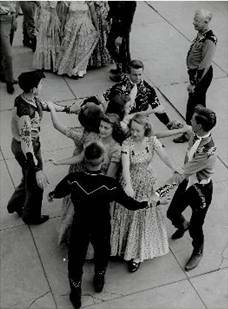 Shaw himself became the foremost square dance caller in the United States, while his dance team performed throughout the nation. In 1946 Cheyenne School had a total of 359 students. By 1958 it had grown to 1501 students aided by the opening of three elementary schools in rapid succession: Cañon Elementary, Skyway Park Elementary, and Broadmoor Elementary in 1954, 1955, and 1956 respectively. In 1962 the new Cheyenne Mountain High School was opened at its present location of 1200 Cresta Road. The old high school served as the junior high until 1968, when a junior high building was constructed at the same site. The growth of Cheyenne Mountain School District exploded in the early 1980s through the 1990s. The fourth elementary, Cheyenne Mountain Elementary, opened in 1985. In 1990 Dr. Harlan Else became the superintendent and guided the district in adding two more elementary schools, Gold Camp and Piñon Valley, as well as additions to the older elementary schools, the high school and the junior high. In 2006, Dr. Walt Cooper became the superintendent of the district continuing the tradition of excellence in education in the Cheyenne Mountain Schools. In 2009, Cañon Elementary was converted into a preschool and daycare center for the district to accommodate changing enrollment demographics. In 2004, Cheyenne Mountain School District was designated one of the top 100 school districts in the nation. The district not only provides a rigorous college preparatory curriculum, but also is ranked nationally for its renowned fine arts and athletic programs. 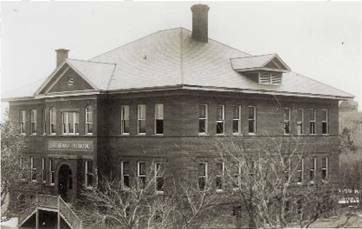 Cheyenne Mountain School District is proud of its long history. One thing has stood the test of time throughout the last century and that is the exceptional, outstanding education provided by District 12 to the children of the Cheyenne Mountain community. For a more detailed history of the Cheyenne Mountain Schools, please download the booklet History of CMSD Schools.